Indian Space Research Organisation (ISRO) and Jet Propulsion Laboratory of NASA are jointly working on the development of NASA-ISRO Synthetic Aperture Radar (NISAR), a Dual Frequency Synthetic Aperture Radar Imaging Satellite. According to recent report titled 2018 World Economic League Table, India is going to overtake the United Kingdom and France to become the world’s fifth largest economy in 2018. 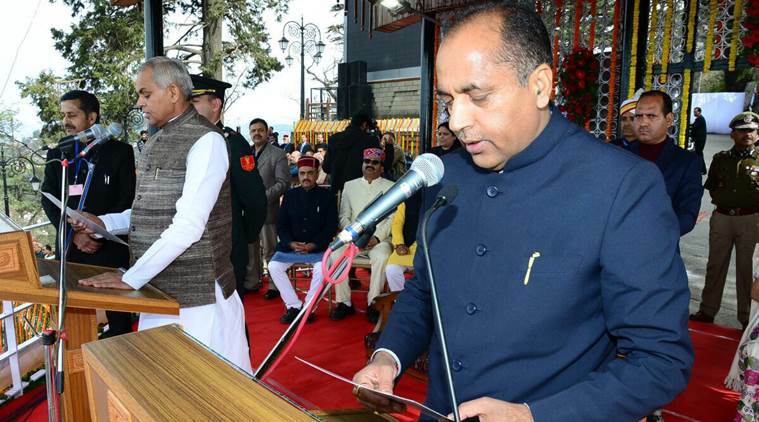 BJP’s MLA Jai Ram Thakur was sworn in as the 14th Chief Minister of Hi machal Pradesh. He was administered the oath of office and secrecy by Governor Acharya Dev Vrat. The 25th edition of National Children Science Congress (NCSC-2017) was held Gandhinagar, Gujarat from 27 to 31 December, 2017. The theme was ‘Science and Innovation for Sustainable Development’. The Appointments Committee of the Cabinet has appointed IPS officer Abhay as new Director General of Narcotics Control Bureau (NCB). The five-member committee set up for technical and safety standards of India’s first pod taxi project or Personal Rapid Transit (PRT) has invited fresh bids for strictest safety standards. The pilot project will be taken up on design, build, finance, operate and transfer (DBFOT) basis i.e. on PPP (public-private partnership) basis. The Union Government, Tamil Nadu Government and World Bank have signed $318 million dollar loan agreement for the Tamil Nadu Irrigated Agriculture Modernization Project.